The Oyster Cove Inn is situated in Kettering, a small fishing village just 30 km south of Hobart, making it a popular weekend getaway. 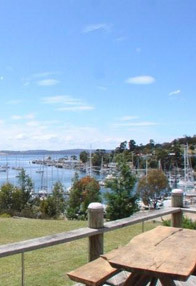 It is a haven for yachtsmen that explore the stunning waterways of the D'Entrecasteaux Channel. Kettering supports many commercial marinas, but still retains the warmth and character of a picturesque fishing village. The Village is situated in the bay known as Little Oyster Cove and is a producer of wine, seafood, fruit and vegetables. Kettering is a port where a vehicular ferry makes the short passage across the D'Entrecasteaux Channel to the beautiful and historic Bruny Island. This southern region of Tasmania is of great historical significance to the development of European exploration of the 'Great Southern Land'. 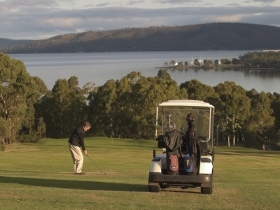 Both the 'Channel' and Bruny are named after the French explorer Bruni d'Entrecasteaux. Today, the 'Channel' is best known amongst the world's boating community as one of Australia's great cruising destinations, welcoming yachts from around the globe to KETTERING, and to the OYSTER COVE INN.